Students for Eco-Education and Agriculture (SEEAG) is proud to present the Third Annual Ventura County Farm Day on Saturday, September 26, 2015. 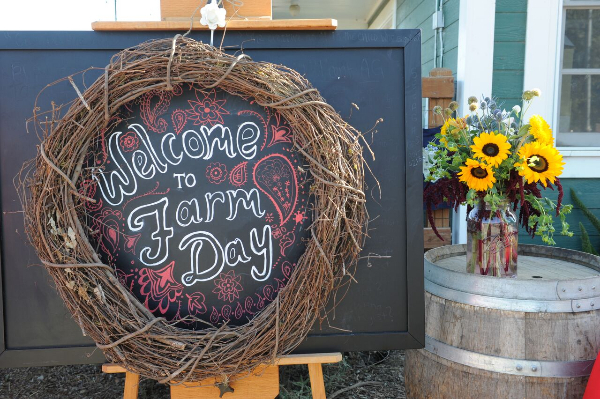 This annual multi-location event welcomes visitors to enjoy both guided and self-guided tours and activities on over 20 working farms in Ventura County, whose annual value of agricultural production is ranked 10th in the nation (out of 3,144 counties). A perfect family activity, Ventura County Farm Day is free to attend at all participating Ventura County farms and will feature unique tours, hands-on activities, educational demonstrations and a Farm Day Mercantile Hub to showcase the farmers that produce foods and goods such as lemons, mandarins, tomatoes, avocados, lettuce, figs, olive oil, berries, goat milk soap and more! A new component to Farm Day, the Farm Day Mercantile Hub at Hansen Agricultural Research and Extension Center will host a collection of local artisanal vendors displaying their goods and demonstrating the beautiful products that can be created from the raw bounty grown by our farmers. Each of the artisans will have educational demonstrations, and offer goods available for sale. The market will include meat curers, bread makers, goat milk soaps, honey, jam, pickles, chocolate and more. Farms and other locations participating in Ventura County Farm Day include Limoneira Ranch, The Painted Pony Farm, Otto & Sons Nursery, Mission Produce Packing House, Ojai Olive Oil, Friends Ranch, Rincon-Vitova Insectary, Petty Ranch and Hansen Agricultural Research and Extension Center, among others. Learn about fun farm-specific facts and specialties. For example,Gills Onionsin Oxnard, one of the largest onion farms in the nation, can boast a 100% waste-free processing plant by turning onion waste into bio-fuel to generate electricity. Houweling�s Tomatoes produces over 13.2 kilowatts of power and enough electricity to sell back to the grid. East End Eden Farm is offering tours of its permaculture food forest, an entire ecosystem in one place, as well as a meet-and-greet with Farmer Connor Love Jones. After tour hours have concluded, attendees are invited to enjoy a rustic outdoor BBQ from 4 p.m.-9 p.m. at Limoneira Ranch in Santa Paula. The BBQ will feature live music by Grammy Award-winning artist Todd Hannigan, a kiss-the-farmer photo booth, tractor rides, gourmet salads prepared by farm-to-table Chef Jason Collis, craft beers from Poseidon Brewing Company, small batch wines from Four Brix Winery and barbeque fired up by the Young Farmers & Ranchers of Ventura County. 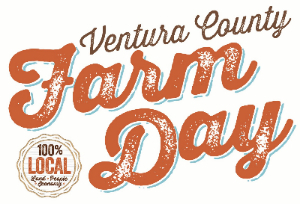 Ventura County Farm Day will take place on Saturday, September 26, 2015 at over 20 farms in Ventura County. Self-guided farm tours are free from 10 a.m.-3 p.m. For a list of participating farms, please visit www.VenturaCountyFarmDay.com. Tickets to the Limoneira BBQ are available for purchase online now. Tickets will also be sold at the door while supplies last. BBQ tickets are $35 for adults and include all activities, dinner and one alcoholic beverage. Additional alcoholic beverages will be available for purchase at $5 a glass. Children�s tickets, for attendees ages 12 and under, are available for $15. 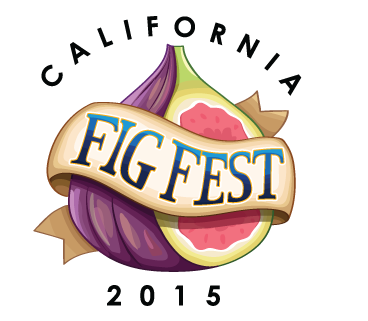 For more information, please visit www.venturacountyfarmday.com. Founded in 2008, Students for Eco-Education and Agriculture (SEEAG) aims to help young students truly understand the origins of their food by bridging the gap between agriculture and consumption through its agricultural education programming. SEEAG's Farm to Table � The Journey of Our Food From Field to Fork program based in Ventura County teaches elementary school children about the origins of their food from field to table, and the importance of local farmland by providing schools with classroom agricultural education and free field trips to farms. Through this program, over 8,000 Ventura County elementary school students have increased their understanding of the food journey. For more information, please visit www.seeag.org or email Mary Maranville at mary@seeag.org.